Thanks for bringing your dear father and mother back to life for me. I travelled with them and with you on one of the summers abroad, and played Fanny Hefferwaite in “The Perils of Fanny”. 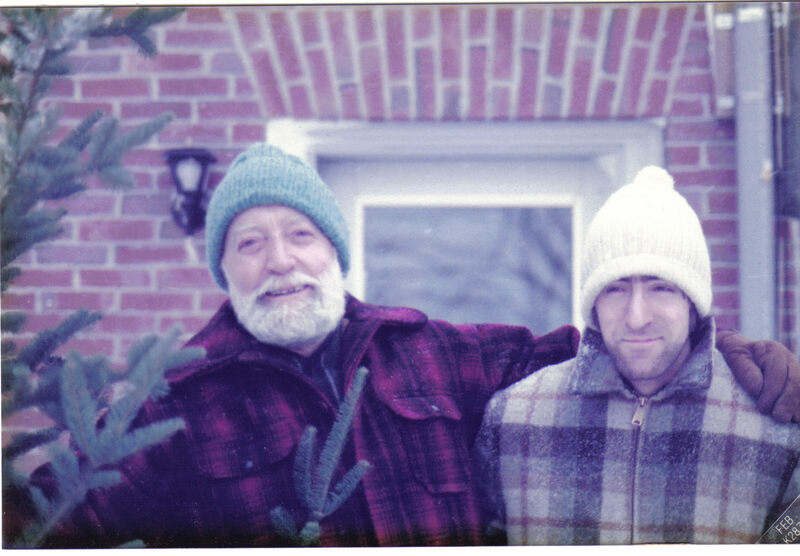 I remember your father’s booming voice and your mother’s lovely scowl. May they live in you always! 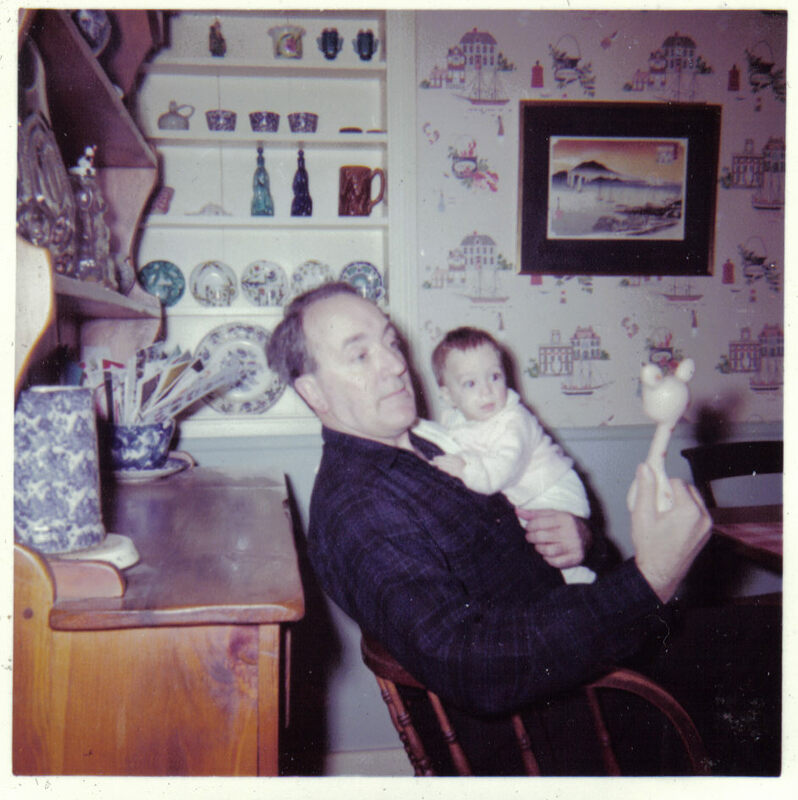 Thanks for reading my recent piece and for writing the kind thoughts about my mother and father. I remember you well – in that play and of course traveling with you and the others by “coach” in England and Ireland during the summer of 1971, visiting castles and Stone Henge at dawn. Among other things, I remember getting lost in Yeovil, climbing up to the top of Yeats’s tower, exploring Sligo, slipping and sliding down Ben Nevis with my father, eating scones with my mother in Edinburgh, and playing on the beach at St. Michael’s Mount before crossing the causeway. I turned ten that summer! I hope life is treating you well. Thank you, Carol. I appreciate your thoughts. I was probably in my twenties when I realized that my parents were not only Mom and Dad but friends. That helped me gain perspective on them as human beings. I like to reflect on their journeys through life as I reach my own milestones. I wish you’d known Dad, too. I’m sure you would have liked each other. What lovely memories of your father. Thanks for sharing them. Are his books still in print or available somewhere? My husband followed a similar path as your father’s – After many years of being a professional actor, he also went into teaching. His students adore him for his ability to make the literature they read come alive as he reads passages to them. I’m sure your father’s students felt the same way about him. Actors make amazing teachers. Thank you for the kind comments, Darlene. I have a few more “writing family” pieces in the works. I’m afraid none of my father’s books are in print, though the two novels are relatively easy to find on used book sites. 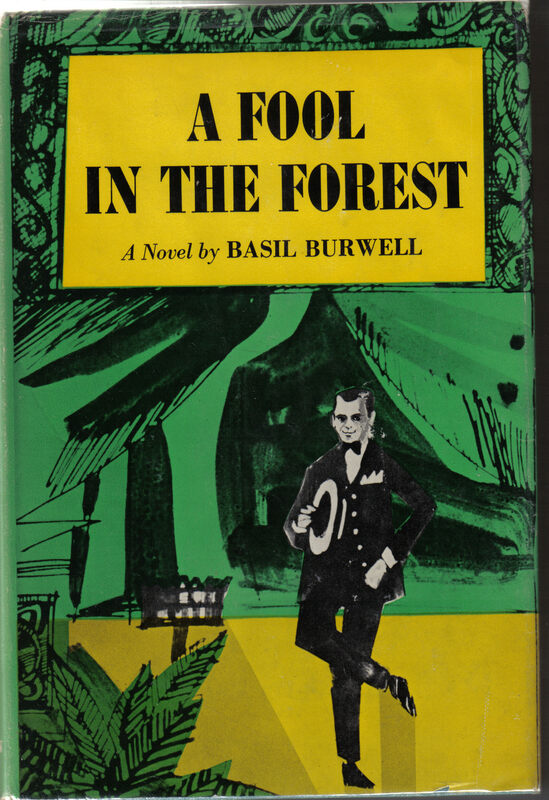 A Fool in the Forest is a lot of fun for theater buffs. I have some of Dad’s unpublished manuscripts and I hope to do something with them one day, especially a long fairytale novella. You’re absolutely right about the former actor bringing literature alive. 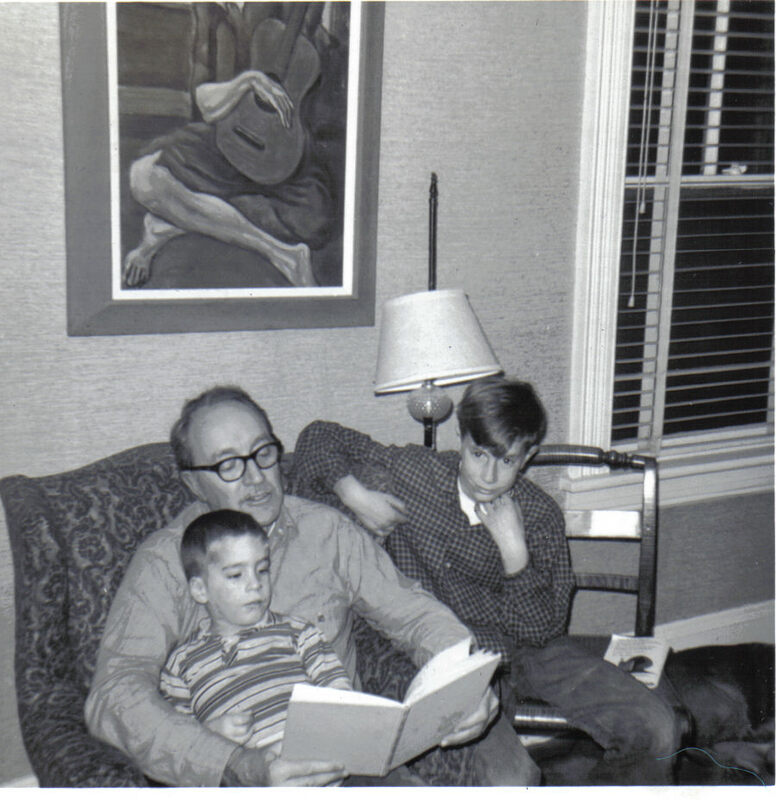 I loved being read to by Dad – he did all of the voices of the characters! His passion for words – spoken as well as written – made a real difference, too. It sounds like your husband is a wonderful teacher – what are some of his favorite books that he teaches? Do you ever read aloud to each other? I had to ask my husband which books are his favorites to teach and he said, Walden by Thoreau, Huckleberry Finn, and The Glass Managerie. And yes, he used to read to me every night when we were newly married. But then we had kids, and that time was spent reading to the kids. I was also trained as an actress and so we both would use all sorts of character voices when reading to our kids. 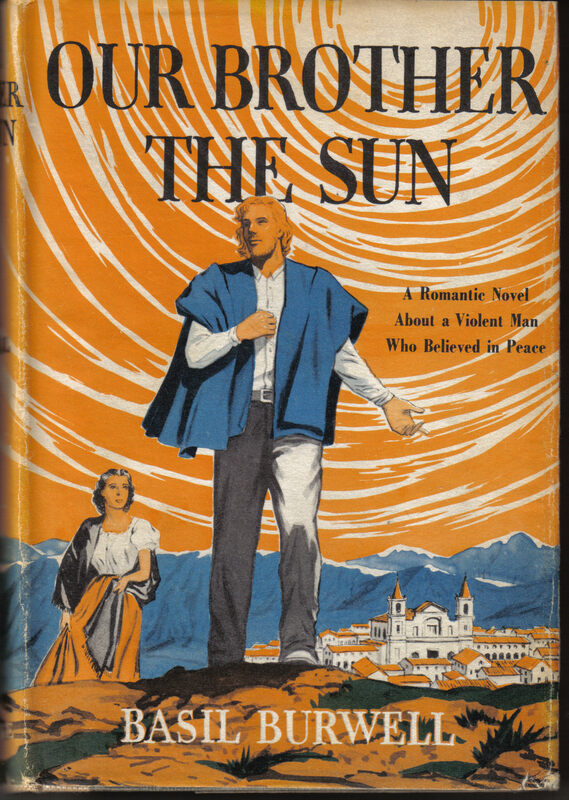 I remember reading Tortilla Flats aloud to my daughter when she was a 9th grader because she said, “I just can’t get into it, Mom.” I told her that my family had California roots going back seven generations, and those characters in Steinbeck’s book reminded me of friends of my grandfather. I could hear in my mind the way they spoke, and I would do their voices as I read the book to her. I think it helped her have a better understanding of the story. Acting definitely helps someone teach. As well as write! I love those books, too, and Steinbeck was a favorite of mine awhile back. His world always felt very immediate, both real and a little magical. I’d like to have been a fly on the wall when you read Tortilla Flats aloud! I read to my son far into his teens – we thoroughly enjoyed sharing books and stories and didn’t want to give it up. I’m an actor only at home, but like you, I always enjoyed doing the voices, since I heard them in my mind. Listening to the way people talk in life as well as in books and films, carries over into my writing, from journal to fiction. I was a member of the Cherry Lawn Class of ’51, & we all recvered Bazz. I remember some of the girl students babysat a son of bazz’s, & I introduced my younger brother to Bazz, resulting in my brother becoming a Theatre Arts Major in college ! Alan Gross man agrossman3@yahoo.com . Thanks for writing. It’s always great to hear from one of Dad’s students. Dad helped so many young people develop a lifelong love of theater and literature and in turn they provided youthful energy and enthusiasm. He loved his work. The son you remember would be my oldest brother, Chris. Thanks so much for writing. It’s always wonderful to hear from one of Dad’s students, who meant a great deal to him. I’m glad to hear that he was so encouraging about your writing – he was always an excellent talent spotter! He helped me so much with my writing, too, and in his later years he did a lot of reading for my literary magazine, Acorn Whistle (sadly, now defunct), and I loved working with him. I miss him a lot, but feel that he’s still with me in many ways, still offering warm advice and nudging me onward. I’d love to hear more about your books sometime – I’ll definitely look them up and will keep an eye out for your new book. I’ll also tell Jeremy hello for you.